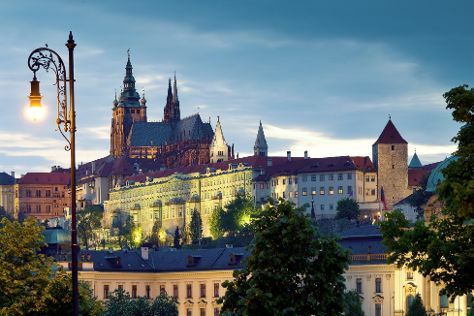 Kick off your visit on the 26th (Thu): wander the streets of Old Town Square, then view the masterpieces at Lobkowicz Palace, then take in the spiritual surroundings of St. George's Basilica, and finally explore the historical opulence of Prague Castle. On the next day, take in the spiritual surroundings of Spanish Synagogue, take an in-depth tour of Jewish Museum in Prague, take some stellar pictures from Prague Astronomical Clock, then take in the spiritual surroundings of St. Vitus Cathedral, and finally examine the collection at The Powder Tower. For ratings, maps, and more tourist information, read Prague trip itinerary builder tool . If you are flying in from Brazil, the closest major airports are Václav Havel Airport Prague, Brno-Tuřany Airport and Ostrava Leos Janáček Airport. In September in Prague, expect temperatures between 22°C during the day and 12°C at night. Finish your sightseeing early on the 27th (Fri) so you can travel back home.